The idea of a Smile Makeover does not have to be expensive or intimidating and it is available to anyone beyond only models in Glamour magazine. It begins with a sharing of past dental office experiences and what desirable expectations can be reasonably met with future care. Every patient that visits one of our highly trained Hygienists will experience a Smile Makeover every time they come in for a periodic exam and dental cleaning. Teeth Whitening is readily accomplished with proper guidance from our dental health professionals; it offers a quick solution to stained and dingy teeth that need to be brought back to their original color. The normal and sometimes abnormal wear and tear on teeth can result in a rough or very uneven anterior smile line; this can be quickly improved with a limited occlusal adjustment which is the equivalent of having your tires balanced or your favorite hunting knife honed, sharpened and polished. Many times, Mother Nature delivers teeth slightly out of alignment or in an esthetically poor position and these can be corrected with very conservative reshaping and polishing. A gummy smile can be corrected with Diode Laser treatment that can finally expose the naturally attractive smile that has been hidden by too much gingiva around the necks of the anterior teeth. This can be done under normal local anesthesia with minimal healing time and a low level of any discomfort. 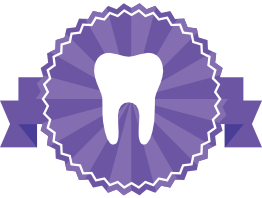 Instant Orthodontics can be accomplished by placing veneers or crowns on teeth that are too small or malposed. A severely worn dentition can cause bite collapse, increased facial aging and muscle and/or joint problems. This can be corrected with new dentures, crowns or onlays to restore the normal architecture of the mouth. Finally, we now have the ability to completely replace the original teeth with implant supported teeth that come the closest to what God gave you. Smile Makeovers can range from the very simple to more complex. Thanks to modern dentistry the process can be carefully planned and accomplished with a high level of predictability and comfort. Why Are My Teeth Wearing Away? Dr Schwan's office is conveniently located directly across from the Chester County Hospital in downtown West Chester Pennsylvania. Scheduling an appointment is easy! Simply fill out our form on the website and we will call to confirm your choice of dates/time within 24 hours. Dr. Schwan has been proudly serving the West Chester area and the broader community of Chester County including Exton, Kennet Square, Westtown, Newton Square, Malvern, Downingtown, and Chadds Ford since 1972. Dr. Schwan's dental office is conveniently located directly across from the Chester County Hospital in downtown West Chester Pennsylvania. Interested? Start by giving us your name, email and phone number and we’ll get back to you in order to help you join the Smile Saver discount dental plan, so you can start saving today!